It’s natural to be a little wary of self-driving vehicles, considering the frequency with which we curse at our PCs. But if Google’s self-driving car accident report is any indication, at least some of that anxiety may be unfounded. 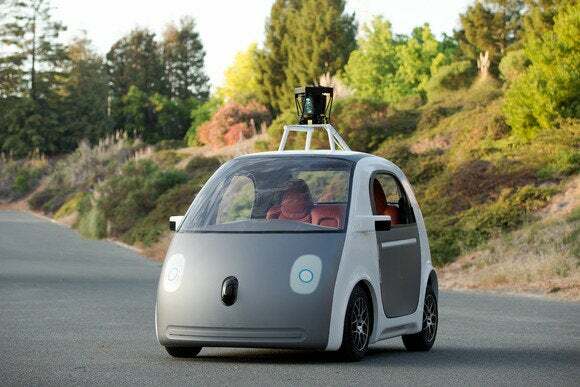 According to Google’s Self-Driving Car Project Monthly Report for May, vehicles in Google’s self-driving fleet have been involved in 12 accidents since the program’s inception in 2009. All 12 collisions were minor fender benders, and only six occurred while the self-driving car was in autonomous mode. In all cases, Google’s cars got bumped or clipped by other vehicles, and sustained minor damage at worst. According to Google, its vehicles were not at fault in any of the collisions, and none of the accidents resulted in reported injuries. Google’s self-driving fleet has clocked over 1.8 million miles since the program began in 2009, so its fleet averages one fender bender every 150,000 miles. Chris Urmson, the director of Google’s self-driving car program, provided some accident stats last month, but Google’s new report provides a detailed account of each accident that affected the fleet. It still remains to be seen how well self-driving vehicles would perform on a wider scale—Google has only 23 self-driving vehicles on public roads—and some, such as Patrick Lin at The Atlantic, have wondered about the ethics of self-driving vehicles. Still, Google’s stats are an encouraging sign. If you’d like to see the accident details for yourself, head on over to the PDF of the report.